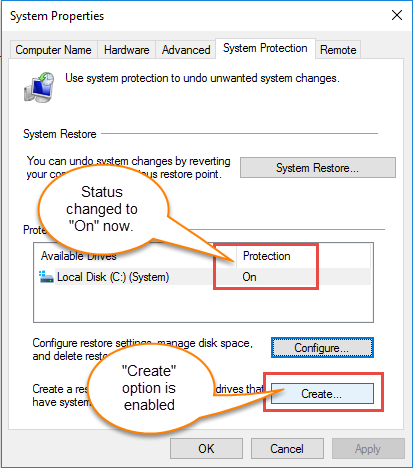 Step 4:- Click on Turn on system protection. 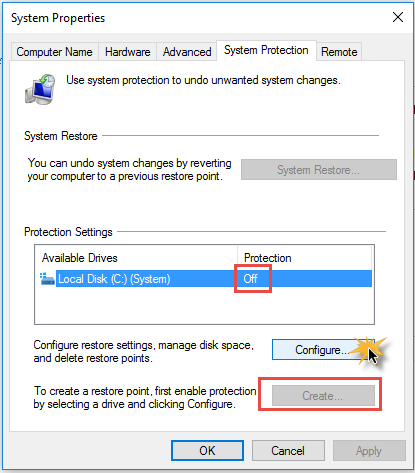 Under Disk Space Usage allocate the disk size for system restore by sliding the slider towards right side. 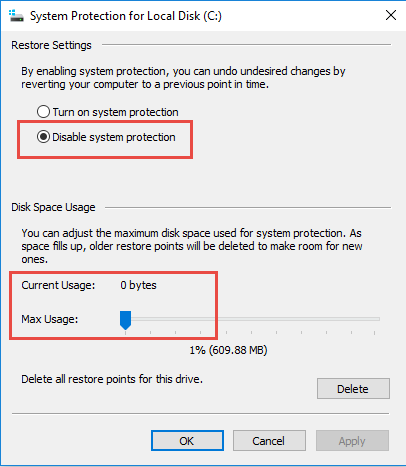 Here I am setting it to 10% of my hard drive size. 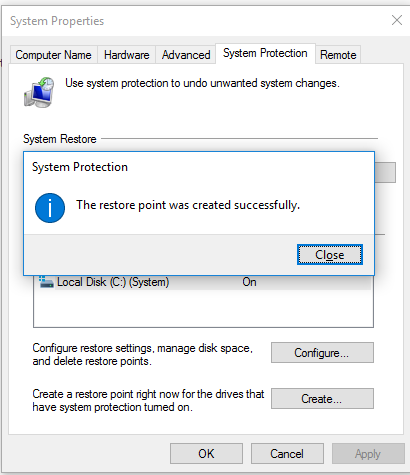 After that click on Apply and OK.
Congratulations you have successfully turned on the feature for System restore. 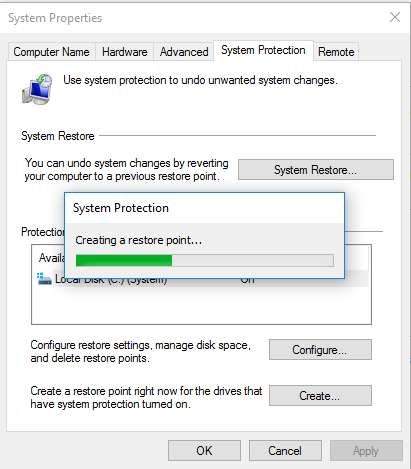 Now It is time to Create System Restore Point.Under Available drives you will see system protection on. 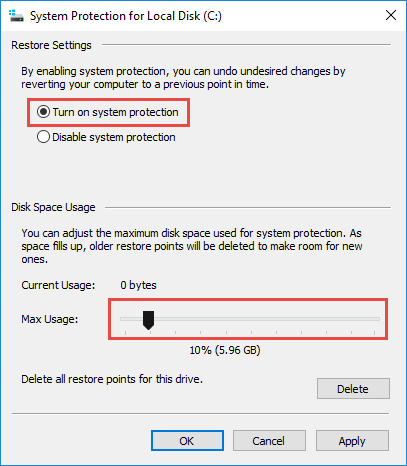 Click on that drive and it will highlight. 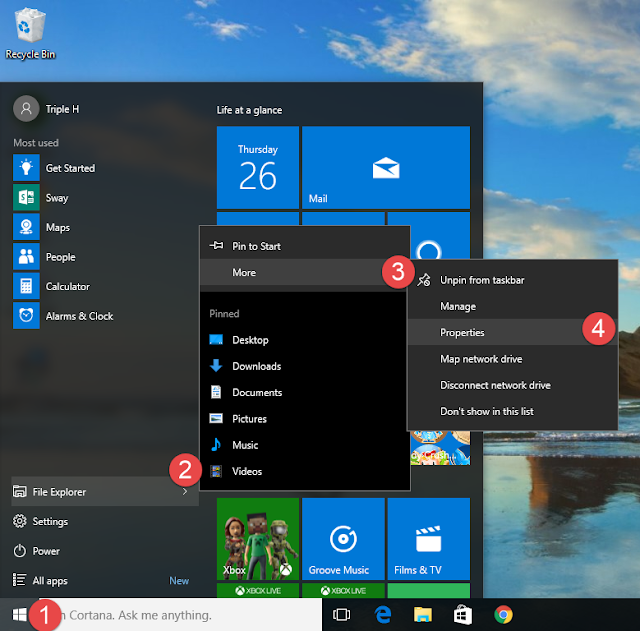 Step 5:- Click on Create and a small box will appear. 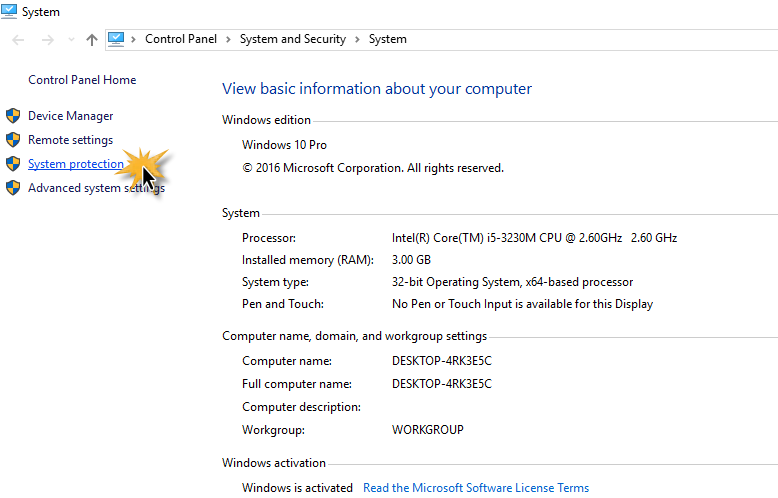 Step 6:-Give It a personalize name. It could be anything. E.g. 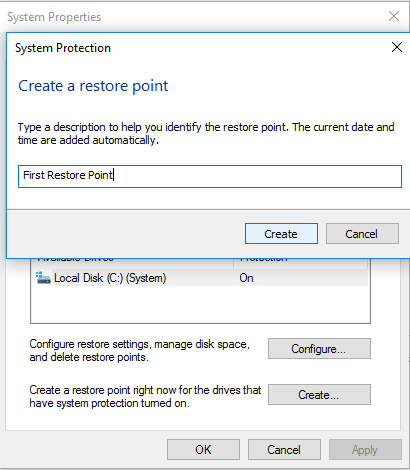 "first restore point”. After that click on Create on that window. It will start the process. Here we go. You have created you restore point.